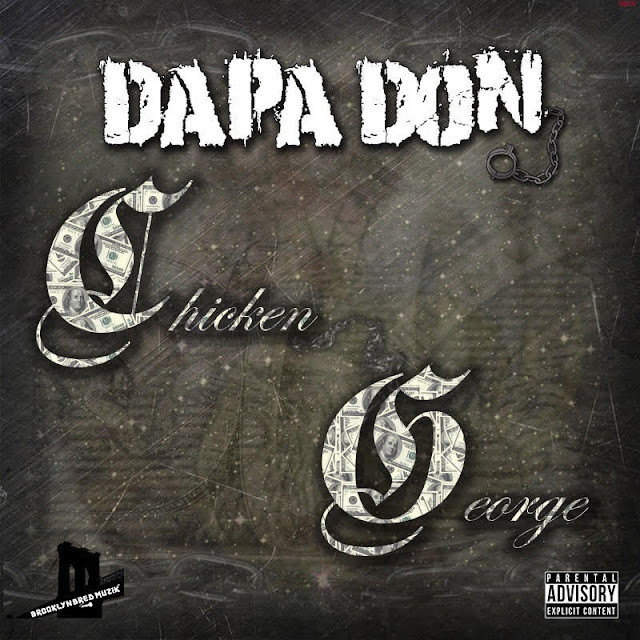 After a year since the release of the highly praised #FOOD2, Brooklyn Bred Muzik artist Dapa Don has forgone the #FOOD series to return with his latest studio offering to date, Chicken George. A self proclamation of his artistic freedom, Dapa shows all the sides of his artistic spectrum as he raps, sings, and plays some of the instrumentation on the latest body of work. With a short list of production that includes, Synastetic, Country and DJ Stude to name a few, Dapa finds himself with what he calls his most freeing work to date. Assisted with features from artists such as Phil Walker, Lisa Fine, Jay Prezi, Cash Sinatra, IknowBrasco, Jus Smith, and Boss China, Dapa provides a solid body of work that will resonate with fans of the genre and cross genres alike. Brooklyn Bred Muzik Inc. proudly presents to the public, Chicken George.